“It doesn’t look like a church!” was the comment of a former Catholic coming to our church for the first time. (Admittedly, it was our old wood and asbestos structure, once thought to be a “disused woodyard” by a passer-by. We have re-built it since!). To her, a plain building, with no crucifixes, images of Mary, incense or candles was simply not ‘a church’. Another Catholic who came to our church recently was very surprised at the Bible-centred preaching. “The Bible is never mentioned at our church”, they said. We’ve all no doubt had comments from Catholic friends, family or work colleagues along the lines of “I go to confession, but I still feel guilty afterwards for the wrong things I know I’ve done – and I can’t seem to find any peace”, or “I go to Mass, and pray the prayers that are expected, but there’s something different about you and your church. You seem to have a personal relationship with God, and you study the Bible for yourselves”. If you’ve had similar conversations, you’ll find Stepping Out in Faith by Mark Gilbert helpful. Mark himself is a former Catholic, from a committed Catholic family, who gradually became dissatisfied with Catholicism, started to read the Bible for himself, and then realized the differences between what he’d been taught and what Scripture teaches, on key subjects. He was eventually converted, and you can read his story in The Road Once Travelled. 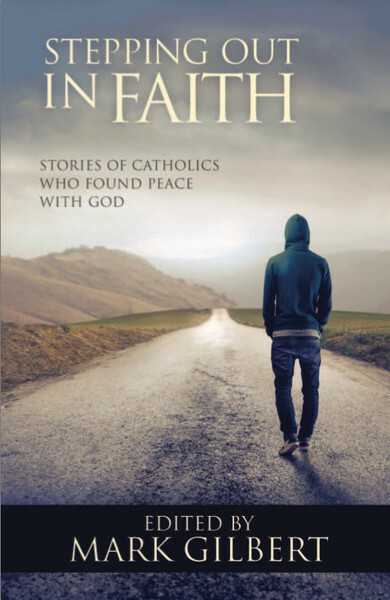 In Stepping Out in Faith, Mark has drawn together the testimonies of eleven Catholics who have come to know the Lord, each telling the story of how they found peace with God. They describe honestly, in their own words, what they used to believe about Catholicism, the church, priests, the Bible and non-Catholics, and then how the Lord has graciously opened their eyes to what God has done in Christ. As you read, you see the common themes and problems these individuals experienced, and what led them to seek out what the Bible really teaches. This is extremely helpful in enabling us to understand what our Catholic friends may be going through and thinking – and why – and so how best we might be able to help them in their search for a real, Bible-based relationship with God in Christ. Also, once we’ve read it, it’s a great book, if appropriate, to give or lend to them, and then seek to answer any questions they may have. Is there someone you could give it to…?